Mobile optimisation is the process of ensuring that users who visit a site on a mobile device have a user experience that is optimised for the device. This should mean that the user experience is optimised in respect to their intent, the website and the landing pages so that visitors can complete any tasks they plan to undertake using any device of their choice. 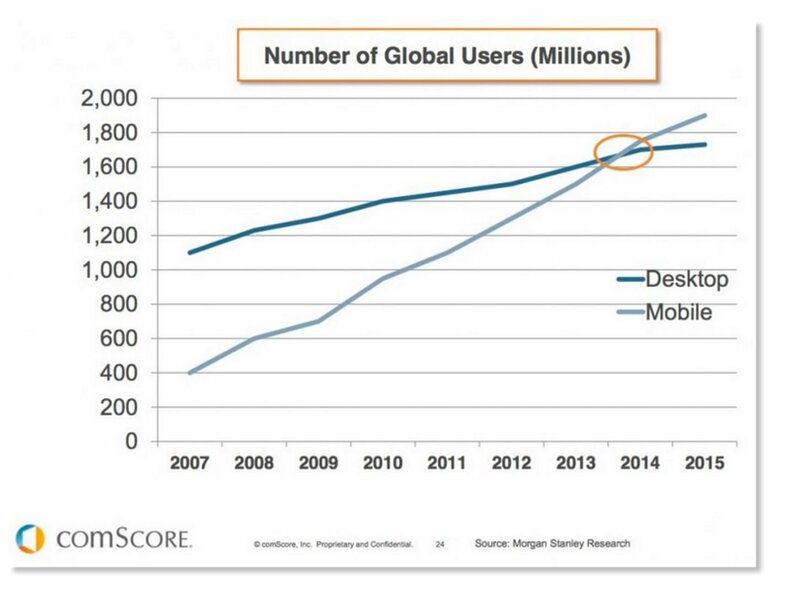 According to this report from ComScore a majority of digital media is now consumed on mobile devices. 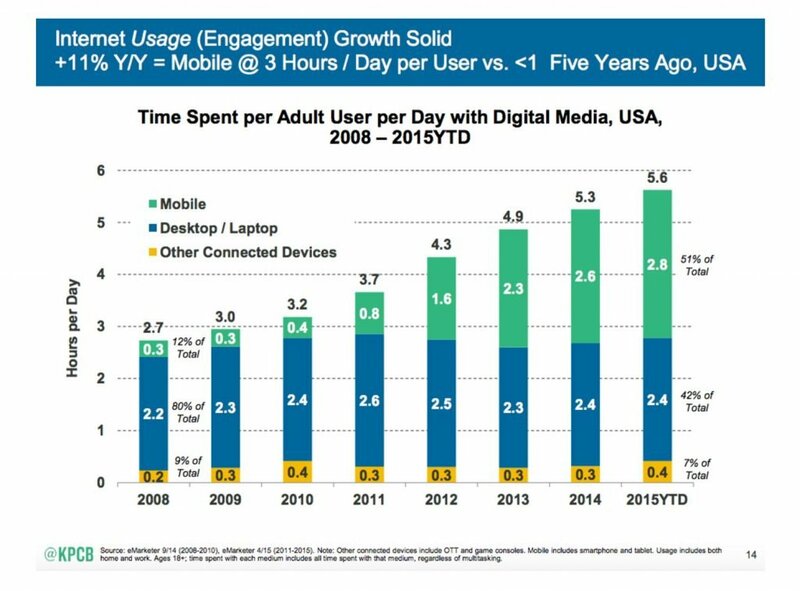 Time spent on mobile devices has also passed that on other devices according to a report from KPCB. On average adults spend around 2.8 hours a day browsing the internet on their mobile phone, compared to 2.4 hours a day on their desktop. Mobile responsive sites are often referred to as a solution to mobile optimisation. However, in reality they don’t allow for optimisation by individual device as essentially the same content is delivered whatever the device. 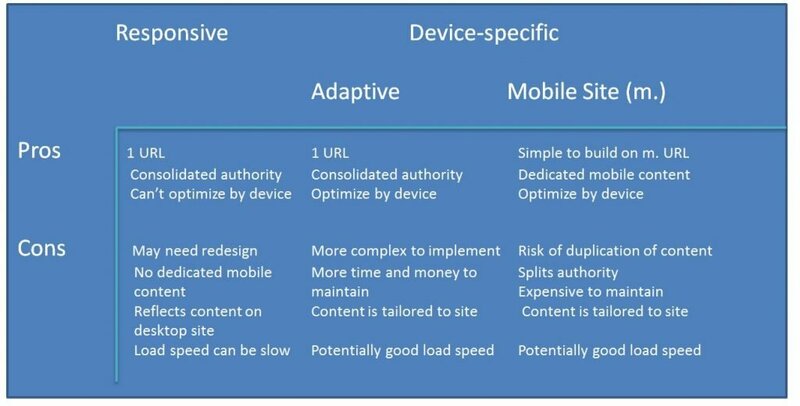 Here is a summary of the pros and cons of each type of mobile site. Also see adaptive design and mobile first. Mobile customer journey – Why is your mobile only user journey is leaking cash?